Lawrence, Kansas, United States: Rafael Barajas, the Certified Golf Course Superintendent (CGCS) at Boca Grove Golf & Tennis Club, has been elected to a one-year term as President of the Golf Course Superintendents Association of America (GCSAA). He is the first Hispanic President in the association’s history. Barajas served as Vice President of the association in 2018 and has been a member of the association’s Board of Directors since 2012. 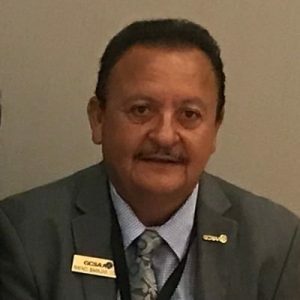 A 33-year member of the GCSAA, Barajas is also a member of the Florida GCSA, South Florida GCSA, Palm Beach GCSA, Hi-Lo Desert GCSA, Southern California GCSA and California GCSA. Born in Mexico, Barajas’s family moved to the United States in 1978 when he was 14. Previously, he was Superintendent at Hacienda Golf Club in La Habra Heights, California. In addition, he served as Superintendent at Palm Desert (California) Country Club, the Director of Golf Course Maintenance at Desert Lakes Golf Club in Fort Mohave, Arizona, and as a Superintendent at various courses for American Golf Corp.
Other elected officers were John Fulling Jr, CGCS and Grounds and Facilities Manager at Kalamazoo (Michigan) Country Club, as Vice President, and Mark Jordan, CGCS and Natural Resource Leader at Westfield Country Club in Westfield Centre, Ohio, as Secretary/Treasurer. Board members Jeff White, CGCS and Superintendent at Indian Hills Country Club in Prairie Village, Kansas, and TA Barker, CGCS and Superintendent at Fore Lakes Golf Course in Taylorsville, Utah, were elected to serve again, while Paul Carter, CGCS, at Bear Trace at Harrison Bay in Harrison, Tennessee, was newly elected to the Board. Kevin Breen, CGCS and Golf Course Superintendent at La Rinconada Country Club in Los Gatos, California, and Kevin Sunderman, Director of Grounds at Isla Del Sol Yacht and Country Club in St Petersburg, Florida, continue their service to the Board with one year remaining on two-year terms. Darren Davis, CGCS and Golf Course Superintendent at Olde Florida Golf Club in Naples, Florida, will serve as immediate Past President, while Past President Bill Maynard, CGCS and Director of Golf Course Maintenance Operations at The Country Club of St Albans, retires from Board service.